The unique intelligent plasticine is suitable for relaxation or as a crazy toy to an office or a house. The metallic package contains 80g of deformable clay of high viscosity. The product is also very flexible - you can easily tear it, shatter it or let it jump like a ball. Due to its properties, the clay is attracted to a magnet. For shipping to other EU countries visit this page Intelligent Plasticine - Black (Magnetic). Chcete doručit zboží do Česka? 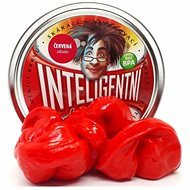 Prohlédněte si Inteligentní plastelína - Černá (magnetická). Chcete doručiť tovar na Slovensko? 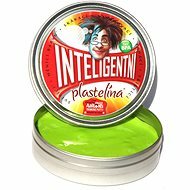 Prezrite si Inteligentná plastelína - Čierna (magnetická). Für Versand nach Österreich, besuchen Sie bitte Intelligente Knete - Schwarz (Magnetisch).